FWWC Rate Increase Request Finalized. Attached is the final document regarding Forever Wild’s rate increase request for your information. The new rates went into effect on July 1st. Notice: Please be on the lookout. We have turtles crossing the roads in the Acres. We ask everyone to use extra caution and watch for turtles crossing our roads. 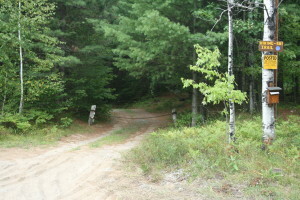 We know at least one location on Ridgetop, by the first house on the right coming from AuSable Drive, where turtles are frequently crossing the road. Also: With the warmer weather and summer just around the corner hikers, bikers, and children will be out on our roads. Please be cautious and help keep our roads safe! The town held a meeting on December 8, 2016 to discuss the upcoming reassessment project. I know many of you were unable to attend. Two of the AAPOA board members attended the meeting and took the handouts. Paul Longenderfer has placed all the handouts at the top of the website under the Owner Resources banner. Feel free to read and/or print them for yourselves. We are aware of a meeting that we think may be of interest to many home/property owners within the Acres. This information first appeared in the Jay Community News couple of days ago. We are also sending out the information in a mass email to the people for whom we have email addresses. Over the past number of years, the AAPOA Board has fielded a number of inquiries from home and landowners regarding the assessment levels on their property(ies) within the Acres. Apparently, in 2017 the Town of Jay will be carrying out a Town-wide Real Property reassessment project. This coming Thursday, December 8th at 6PM, at the Town Hall in AuSable Forks (11 School Lane) the Town will be hosting an informational meeting for all property owners. Questions about this reassessment project will be answered. If you have concerns regarding the assessment levels of property that you own within the Acres, this may prove to be a very informative meeting to attend. Forever Wild Water Company has been working hard since the spring to get the new water tank up and running before the winter. It is very impressive to see. It is ahead of schedule and should be finished by the end of October. I am attaching a couple of photos so you will know what I mean. It should meet our needs for many years to come. The new tank is in the foreground and the old tank is on the right. Closeup of the new tank.